I am so intrigued as to what the outcome of this will be. I can’t imagine that it won’t be anything but A+. What a wonderful experince to be learning in this manner. They are truly lucky boys to see it physically before them. Yea for their parents!! I believe the average will be A+ for all of you! Teacher and pupil alike! I delight in the ‘living’ they are doing! The social contacts they are making on a daily basis broadens their knowledge more than you will ever realize, I believe. the above message contains an omission of “every” . Will Bennett find where it belongs and correct it for Me Ma? Thank you. You are all learning, seeing, and doing so much. A+ all around. Your kids will be so well prepared for whatever life path they make for themselves. You and David are doing a fantastic job parenting and teaching. Reading every post – loving them. And I am a bit jealous. It sounds like so much fun. To heck with school – they will be so inspired when they come back and start learning about something and they can really relate because they have “been there” in the most literal sense. The learning they do later will be so much stronger and that will make up for anything lacking now. Love all your posts. 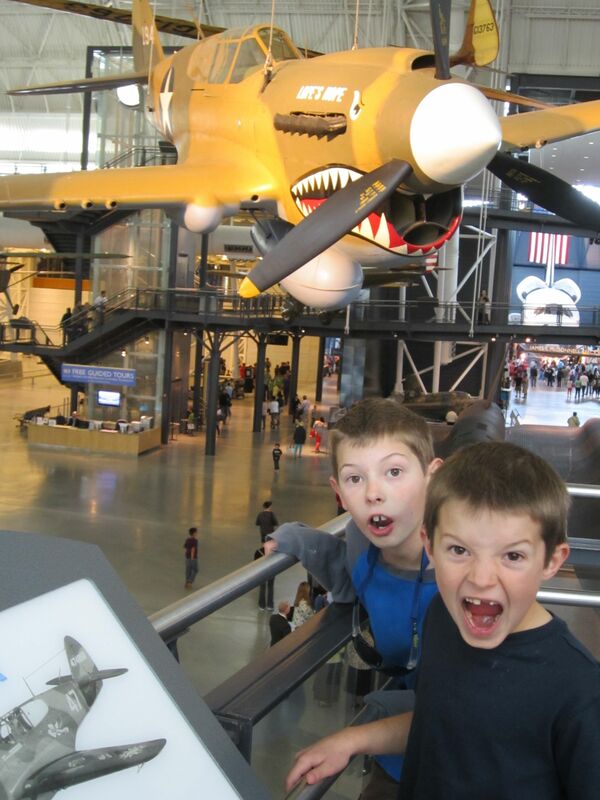 We like your picture where you look like you are yelling in a museum. We also have journals that we write and draw pictures in. We have been going to the beach park a lot because it’s hot here now. Bye! Betsy, thanks for all the great info on homeschooling. I’m trying to soak up as much info as possible on the subject. This is such an amazing experience for your kids, I’m so happy you took the chance and grabbed it. Love following your blog even if I’m a little behind sometimes.